﻿ Oberlin Heritage Center - Ohio. Find It Here. 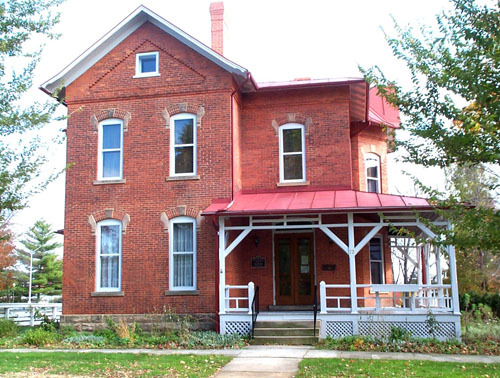 The Oberlin Heritage Center is the historical society and historic preservation organization for the city of Oberlin, Ohio, as well as a complex of historic sites that is accredited by the American Alliance of Museums. Guided tours of the three sites are offered on a walk-in basis three days a week and at other times for groups by appointment and include the Monroe House (1866), Jewett House (1884) and Little Red Schoolhouse (18361837). Main themes of the tour include life in the 1830s  c. 1915 Oberlin, African American history, the Underground Railroad, women's history, scientific discovery, and missionary, temperance, and other reform movements.